When will be Paul Hollywood's Big Continental Road Trip next episode air date? Is Paul Hollywood's Big Continental Road Trip renewed or cancelled? Where to countdown Paul Hollywood's Big Continental Road Trip air dates? Is Paul Hollywood's Big Continental Road Trip worth watching? Paul Hollywood road trips around the continent. 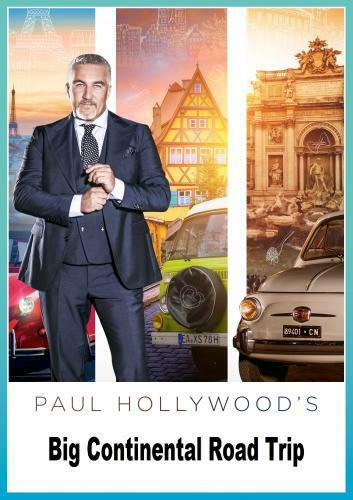 Paul Hollywood visits Italy to find out what makes the country tick when to comes to cars. How do the cars they make and the way they drive reflect the character of the Italian nation? On his trip, Paul drives some of the best, worst and most important cars built in Italy and is joined by a few travelling companions who provide an insight into Italian culture and explain why they think their nation has such a love affair with cars. Paul Hollywood visits Germany to try and find out what makes the country tick when it comes to cars. How do the cars they make and the way they drive them reflect the character of the nation? On his trip, Paul drives some of the best and worst cars built in Germany and is joined by a few travelling companions who provide an insight into German culture and explain what they think their cars say about their country. Paul looks at France's lack of flash cars and the relationship between cars and food. Contains some strong language. Paul Hollywood's Big Continental Road Trip next episode air date provides TVMaze for you. EpisoDate.com is your TV show guide to Countdown Paul Hollywood's Big Continental Road Trip Episode Air Dates and to stay in touch with Paul Hollywood's Big Continental Road Trip next episode Air Date and your others favorite TV Shows. Add the shows you like to a "Watchlist" and let the site take it from there.